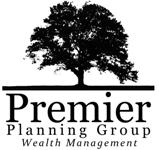 Premier Planning Group offers retirement workshops and educational opportunities year-round for existing and prospective clients. Please reference the list below for upcoming events and educational opportunities and RSVP today. A Premier Planning Group team member will be in touch with you shortly after RSVPing with more information. Thank you! Join CEO and Founder of Premier Planning Group, Brion Harris, for a retirement workshop and complimentary dinner presentation at Ruth's Chris Steak House in Annapolis, MD. -- Please ensure to list how many people are in your party in the message section of the registration form. Prospective clients are typically allowed 2 additional guests. Existing clients are typically allowed 4 additional guests. -- RSVPing is mandatory. A Premier Planning Group team member will be in touch with you shortly after RSVPing with more information. Thank you!